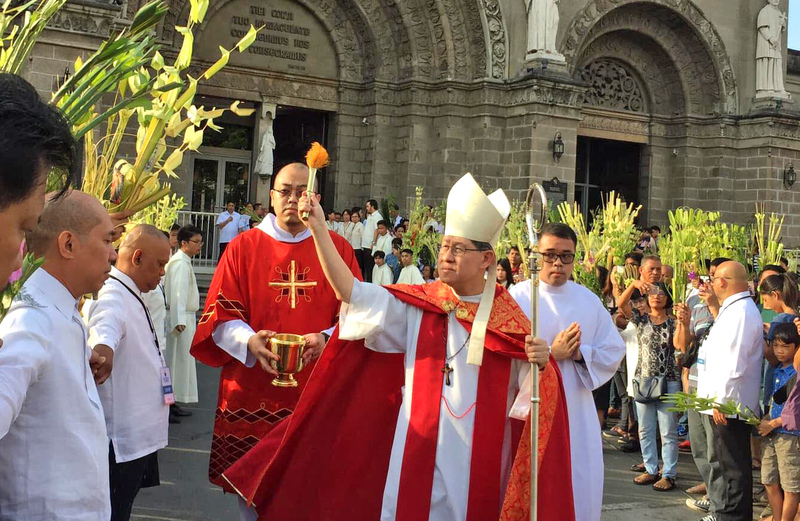 Celebrating Palm Sunday with hundreds of people, Cardinal Luis Antonio Tagle urged them to fight evil with love, humility, and sacrifice, and never with violence, reported CBCP News. “What did Jesus say? Don’t use violence. Instead, his response to those arresting and maltreating him was healing,” Tagle said in his homily. The celebration, Tagle said, is not just about taking a vacation but an occasion to get to know Jesus.